Radiosport: Make Your Voice Heard During the ARRL International DX Contest (Phone)! Federal Emergency Management Agency (FEMA) Administrator W. Craig Fugate, KK4INZ, will be the keynote speaker at the ARRL Centennial Banquet on July 18 in Hartford, Connecticut. The event is among the highlights of the ARRL Centennial Convention July 17-19 at the Connecticut Convention Center. "We are fortunate that Director Fugate has agreed to serve as our keynote speaker," said ARRL President Kay Craigie, N3KN. "Not only does he bring his wealth of experience in public service and emergency communications to the table, but as a licensee he has a good understanding of the value that the Amateur Radio Service can offer." A native of Gainesville, Florida, Fugate has headed FEMA since 2009. Under his leadership, FEMA has promoted a "whole community" approach to emergency management to build sustainable and resilient communities. This tactic emphasizes collaboration with all levels of government as well as with external partners, including volunteer agencies, faith-based organizations, the private sector, and individuals. 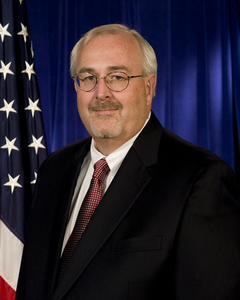 Prior to coming to FEMA, Fugate served as Director of the Florida Division of Emergency Management. He was Florida's Coordinating Officer for 11 declared disasters that involved the management of some $4.5 billion in federal disaster assistance. In 2004, Fugate managed the largest federal disaster response in Florida history as four major hurricanes -- Charley, Frances, Ivan, and Jeanne -- affected the state in quick succession. Additional disasters arose in 2005, as three more hurricanes -- Dennis, Katrina, and Wilma -- made landfall in the state. Fugate has been an Amateur Radio licensee since 2012. ARRL Centennial Banquet tickets and advance convention registration are available through the ARRL Centennial Convention website <http://ARRL2014.org>. Read more. Orlando HamCationÂ® -- the inaugural ARRL Regional Centennial Convention -- was "a grand success," according to ARRL President Kay Craigie, N3KN. She headed up the contingent representing the League at the February 7-9 event in Florida. The 68th HamCation was the first of six such regional events planned to mark the League's 100th anniversary celebration this year. ARRL Circulation/Member Services Manager Yvette Vinci, KC1AIM (left), with ARRL President Kay Craigie, N3KN, at the Orlando HamCation. "There was a really good vibe among the people I met at this event, and it was a fine kick-off to the series of regional centennial conventions," said Craigie, who noted that this was her first visit to the Orlando ham radio gathering. She deemed attendance excellent. "The crowd was so thick on Saturday, especially, that I was reminded of my early visits to Dayton, when you could walk around inside the building and not be able to see your own feet for minutes at a time." The ARRL President said the crowds around the ARRL both kept everyone busy. On hand from ARRL Headquarters were Chief Development Officer Mary Hobart, K1MMH; Sales and Marketing Manager Bob Inderbitzen, NQ1R, and Circulation/Member Services Manager Yvette Vinci, KC1AIM. Hobart agreed with Craigie's attendance assessment. "The attendance seemed very robust," she said, adding that the ARRL forum was packed. "I spent my time in the meet-and-greet area with Kay and other dignitaries, mostly handing out Centennial coins -- about 2000 of them! They are very much in demand." W100AW/4 was on the air during the Orlando HamCation. Craigie reported hearing "a lot of enthusiastic comments" regarding the ongoing W1AW portable operations. 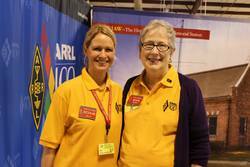 "Also, I met a number of people whom I've worked in the ARRL Centennial QSO Party," she added. Special event station W100AW/4 was on the air from the event throughout the weekend. 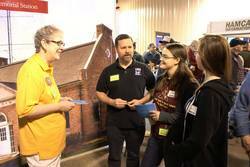 Both Craigie and Hobart said that many visitors told them they planned to be at the ARRL Centennial Convention in Hartford this July. 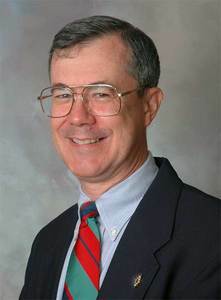 "The mood was very upbeat," Hobart said, "and I hope it will be duplicated at the other regional conventions this year. As the first of the six, it was certainly a success." President Craigie greets some visitors to the ARRL booth at Orlando HamCation. HamCation 2014 Chairman Peter Meijers, AI4KM, estimated that some 12,000 visitors attended the event, sponsored by the Orlando Amateur Radio Club (OARC). "It was a great honor to host the first of the regional ARRL Centennial Events at HamCation," Meijers said. "In spite of bad weather throughout the US -- including Orlando -- attendance was nearly the same as last year's HamCation." Meijers thanked everyone "who worked hard all year to make HamCation 2014 a success." The next ARRL Centennial Regional Convention will be at Dayton HamventionÂ® May 16-18. Sanctioning the regional Centennial conventions was aimed in part at taking the ARRL Centennial celebration to more radio amateurs across the US, encouraging greater awareness of the anniversary as well as participation by members who may not be able to attend the National Centennial Convention. The events also give greater visibility to the all-volunteer ARRL Field Organization, generating greater interest in League membership, program, services and publications, and helping to promote the ARRL's Second Century Campaign. The ARRL Centennial "W1AW WAS" operations that are taking place throughout 2014 from each of the 50 states are in Michigan (W1AW/8) and Florida (W1AW/4). They will remain in those states until 0000 UTC on Wednesday, February 26 (the evening of February 25 in US time zones), when they will relocate to Washington (W1AW/7) and Kansas (W1AW/0). During 2014 W1AW will be on the air from every state (at least twice) and most US territories, and it will be easy to work all states solely by contacting W1AW portable operations. The FCC has issued a Notice of Apparent Liability for Forfeiture (NAL) to James R. Winstead, KD5OZY, of Coleman, Texas, after determining that Winstead "apparently willfully violated" FCC rules by interfering with Amateur Radio communications. The Commission proposed a $7000 fine. The action was in response to complaints from other radio amateurs of intentional interference on 7.195 MHz. According to the NAL, released February 19, an agent from the Commission's Dallas Office on January 21 used direction-finding techniques to positively identify the source of the interfering transmissions as Winstead's address. After monitoring the transmissions from the station for about a half-hour, the agent heard Winstead, an Amateur Extra class licensee, "replay multiple times short sentences or conversations that had just been transmitted, and occasionally speak the word 'George.'" "Mr Winstead replayed recorded conversations so frequently that other licensees were unable to complete their conversations," the NAL stated. The agent estimated that Winstead disrupted approximately 20 minutes of conversation over a 30 minute period by making up to 15 minutes of short transmissions. The agent subsequently inspected Winstead's station, observing that his radio equipment was tuned to 7.195 Mhz. "During the inspection, Mr Winstead showed the agent how he recorded and retransmitted other amateur licensees' communications," the FCC said. "He also admitted that he intentionally interfered with amateur communications on 7.195 MHz and had an ongoing disagreement with another amateur licensee named George." 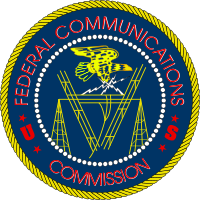 The FCC said the evidence in the case was sufficient to establish that Winstead had violated Section 333 of the Communications Act of 1934 and Section 97.101(d) of the FCC Amateur Service rules. Both sections prohibit willful and malicious interference to radio communications. Citing its Forfeiture Policy Statement and Section 1.80 of the rules, the FCC determined that Winstead was liable for a $7000 forfeiture. "We caution Mr Winstead, however, that future violations of this kind may result in significantly higher forfeitures," the FCC stressed. Winstead has 30 days to pay or contest the fine. On his QRZ.com page, Winstead describes himself as "an electronics technician for about 27 years" and a ham for about 12 years. The FCC and the manufacturer of a device that wirelessly reports propane tank levels have entered into a Consent Decree that concludes an investigation into whether the company had been marketing a noncompliant RF device. It also provides a window into how the Commission occasionally resolves certain enforcement proceedings. The EnerTrac "Big Drops System" operated as an unlicensed Part 15 intentional radiator on 433 MHz; the manufacturer has since shifted to a licensed Part 90 frequency. According to the terms of the arrangement, EnerTrac will admit no wrongdoing, agree not to break the rules in the future, and make a "voluntary contribution" of $13,000 to the US Treasury. In return the FCC will drop the entire matter. "After reviewing the terms of the Consent Decree and evaluating the facts before us," the FCC said, "we find that the public interest would be served by adopting the Consent Decree and terminating the investigation. As the FCC pointed out in the Consent Decree, intentional radiators must first receive FCC certification before being marketed in the US. Part 15 rules prescribe the maximum field strength emission limits for "periodic operation of intentional radiators that transmit at certain frequencies, including frequencies in the 433 MHz band," the FCC explained. While the Amateur Service enjoys privileges on 70 centimeters on a secondary basis, many unlicensed Part 15 devices operate in the vicinity of 433 MHz on a non-interference basis. Prior to marketing the Big Drops System, EnerTrac submitted relevant information and a sample device to the FCC's Office of Engineering and Technology (OET). The OET certified the device as being in compliance with Part 15 rules. In July 2012, the FCC received a complaint that the Big Drops System was not operating within the terms of its authorization. The Commission issued a Letter of Inquiry to EnerTrac, which reminded the FCC that the 433 MHz Big Drops System had been tested for compliance with Part 15 rules and had been certified by the FCC. The OET tested the system, however, and determined that it exceeded Part 15 emission limits, suggesting that there may have been differences between the unit tested for certification purposes and the version that EnerTrac marketed. Subsequently EnerTrac told the FCC that the devices it was marketing "had the same radio frequency characteristics as the device certified" and the device the OET tested. EnerTrac further reported that it had ceased marketing the 433 MHz Big Drops System in November 2012 and had begun marketing a new Part 90 (Private Land Mobile Radio Services) device to replace it. In terminating its investigation, the FCC Enforcement Bureau agreed that "in the absence of new material evidence," it would not use facts developed in the investigation to institute a new proceeding or take action against EnerTrac concerning matters that were at the heart of the investigation. The bureau also said it would not use any of the findings of its investigation in determining EnerTrac's basic qualifications to hold FCC licenses or authorizations. Among other stipulations, EnerTrac, in turn, agreed to pull its 433 MHz Big Drops System devices out of service by the end of 2017. The company would have to remove immediately any device that is the subject of a complaint of unlawful interference, however. Read more. The SSB weekend of the ARRL International DX Contest is March 1-2 (UTC), and the DX will be looking for you! In this major event on the radiosport calendar, operators in the US and Canada work stations everywhere else in the world. It's not only an opportunity to pit your station and operating skills against those of your peers but to expand your knowledge of propagation on the HF and MF bands and tweak your contesting skills. 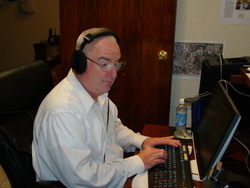 Robert Wood, W5AJ, was P40P during the 2013 ARRL International DX Contest (phone). W/VE amateurs work as many DX stations in as many DXCC entities as possible on 160, 80, 40, 20, 15, and 10 meters, while DX stations work as many US and Canadian stations in as many of the 48 contiguous US states and Canadian provinces as possible. US and Canadian stations send a signal report and their state or province abbreviation. DX stations send a signal report and output power. There are entry categories for individual operators and multioperator teams as well as a choice of power levels in each category, from QRP to full legal limit. There's a place for Big Guns, Little Pistols and everyone in between in this contest. The excitement and enthusiasm levels will be high, and it's a terrific opportunity to boost DXCC totals too. 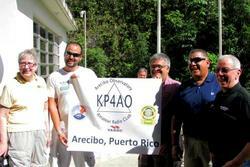 The Arecibo Observatory Amateur Radio Club (KP4AO) is setting up a new Amateur Radio station in the facility's Angel Ramos Visitor Center exhibition hall. Club President Angel Vazquez, WP3R, said the new station will offer an opportunity to showcase ham radio to the thousands who visit the observatory each year. The announcement came during a behind-the-scenes tour of the deep-space radiotelescope campus, held in conjunction with the recent ARRL Puerto Rico Section Convention in Hatillo. (L-R) ARRL President Kay Craigie, N3KN; Southeastern Division Assistant Director JosÃ© "Otis" VicÃ©ns, NP4G; JosÃ© "Coki",Montijo, WP4OV, of the Caribbean Amateur Radio Group; Ãngel VÃ¡zquez, WP3R, Director of Operations of the Arecibo Observatory and President of the KP4AO Amateur Radio Club, and Dennis Motschenbacher, K7BV, of Yaesu, flank the new KP4AO banner. Among those on hand to spin the dial on the new transceiver were ARRL President Kay Craigie, N3KN; Southeastern Division Director Doug Rehman, K4AC; Southeastern Division Assistant Director Jose Vicens, NP4G; Pacific Division Assistant Director John Bigley, N7UR; Puerto Rico Section Manage Rene Fonseca, NP3O, and others on the tour. The ARRL contingent presented the observatory station with a Centennial edition of The ARRL Handbook for Radio Communications. As for the convention, "Wow, what a weekend we had!" was the reaction of Angel Luis Santana, WP3GW, ARRL Public Information Coordinator for the Puerto Rico Section. "A great success!" The ARRL Atlantic Division leadership has created additional resources to assist clubs in such areas as growing and maintaining membership, club management, club newsletters, and meeting presentations. ARRL Atlantic Division Director Bill Edgar, N3LLR, said he'd heard from clubs in his division who were seeking resources aside from "the excellent club resources" the ARRL already offers. ARRL Atlantic Division Director Bill Edgar, N3LLR. "To that end, we have created a number of Amateur Radio discussion forums and file libraries to help clubs with that process," Edgar said. â¦ Amateur Radio Emergency Communications -- Topics of interest to Amateur Radio Emergency Service (ARESÂ®) members and to other emergency communication/public service groups. â¦ Amateur Radio Presentations -- A forum where participants may upload programs on Amateur Radio-related topics to share with other clubs, who can download and use these presentations for their own meeting programs. â¦ Club Management -- Discussion of club management issues, such as meeting topics, elections, recruiting, classes, etc. â¦ Club Newsletters -- Discussion and sharing of club newsletter articles. â¦ Digital Modes -- Discussion of digital-mode topics and the sharing of macros and software. â¦ Hamfest Management -- Discussion of hamfest management topics. â¦ NTS -- Discussion of message handling and the National Traffic System (NTS). On each forum are individuals knowledgeable in the forum topic who will help to moderate the discussion. Moderators also will assist in keeping the conversation flowing and on topic. These forums are open at no cost to all Amateur Radio operators -- regardless of ARRL Division -- who are club officers, club members, or interested in starting an Amateur Radio club. The BFDIN Forums site also includes an "Amateur Radio General Discussion" forum that is open to prospective radio amateurs. Participants will be asked to create a user account by registering your first initial + last name or your call sign as your login. Once users create an account, they will be asked by e-mail to confirm their e-mail account and account setup. 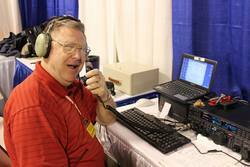 Karl Bowman, W4CHX, of Raleigh, is the new ARRL North Carolina Section Manager, effective on February 20. Outgoing SM Bill Morine, N2COP, of Wilmington, decided not to run for another term after serving since 2010. Although his term did not end until April 1, Morine asked to step down early, due to business and personal commitments, and let Bowman step in. Membership and Volunteer Programs Manager Dave Patton, NN1N, reviewed Morine's recommendation and consulted with Roanoke Division Director Dennis Bodson, W4PWF, before making the appointment official. In Louisiana, Jim Molan, KD5IGG, of Bunkie, will succeed Jim Coleman, AI5B, as Section Manager on April 1. Coleman decided not to run again after serving a 2 year term, and Molan was the only candidate. Molan brings to the office his experience as Assistant Section Manager, Assistant Section Emergency Coordinator, and District Emergency Coordinator. In the only contested Section Manager race of this election cycle, Virginia Section Manager Carl Clements, W4CAC, was re-elected to a new term. He received 789 votes, and his opponent, Anthony Harbour, KG4YXP, of Ridgeway, polled 568 votes. Ballots were counted on February 18 at ARRL Headquarters. Clements, who lives in Portsmouth, has been Section Manager continuously since 2008, and he served previously as SM from 2001 until 2006. His new 2 year term begins on April 1. The following incumbent ARRL Section Managers did not face opposition and were declared elected for new terms of office beginning on April 1: Pete Cecere, N2YJZ, Eastern New York; Robert B. Famiglio, K3RF, Eastern Pennsylvania; Bob Schneider, AH6J, Pacific; Steve Early, AD6VI, San Diego, and Chris Stallkamp, W0ADZ, South Dakota. Winter storms may be rare in Florida, but icy conditions in late January prompted Escambia County Emergency Management to activate its emergency operations center (EOC). ARES also was called out and remained activated until January 30. Rain on January 27 had turned to freezing rain, sleet, and snow, causing icy conditions on roads and bridges. All Interstate highways, most bridges, and many roads in the Pensacola area were closed due to hazardous icing. Escambia County ARES was active for 61 hours during this weather event, with 46 Amateur Radio operators volunteering. Nine ARES members staffed the ARES room at the EOC at various times. Two shelters opened. An EMS need request was handled via Amateur Radio, and reports on weather and road conditions were sent in by operators in the affected area. Amateurs also assisted motorists and truckers with road and bridge condition reports and directions on both a 2 meter amateur repeater and on CB radio. ARES operators submitted eight ARES situation reports. Robert "Bearpaw" Galindo, KE7ADT, of Athol, Idaho, was critically injured February 13 when the winching cable of his 40 foot crank-up tower snapped while he was working on the tower. Galindo, 52, a General class licensee and ARRL member, was reported trapped and dangling 20 feet in the air when rescue crews arrived at his home. His wife, Gail Perry, KE7ADN, witnessed the accident and called 911. The mishap resulted in the loss of Galindo's right hand and several fingers of his left hand. April 1922 -- The first contact was made between California and Hawaii. September 1922 -- 1CCZ worked every US call district in one night, the first time that had ever been accomplished. November 1922 -- Another record-breaking relay was accomplished, from 1AW to 9AWM to Hawaiian 6ZAC and back to 1AW in 4 minutes 18 seconds. June 1923 -- The first expedition using Amateur Radio sailed. The schooner Bowdoin (WNP) had Don Mix, 1TS, aboard as its operator. This and later Bowdoin expeditions were searching for the land mass that was thought to exist at the North Pole. September 1923 -- VK2CM contacted ZL4AA (a 1500 mile path), with VK2CM running 4 milliwatts on CW! November 1923 -- 1MO and 1XAM worked F8AB, the first transatlantic contact. December 1923 -- 1EH made contacts with England, Italy, and Holland. May 1924 -- The first contact was made between New Zealand and Argentina, a new DX record of 6400 miles. The same month saw the first contact between North and South America. July 1924 -- All previous shortwave work had required "experimental" licenses. After considerable groundwork by the ARRL, the government allowed shortwave work by all amateurs, with band assignments of 1.5 to 2.0, 3.5 to 4.0, 7.0 to 8.0, 14.0 to 16.0, and 56.0 to 64.0 MHz. September 1924 -- The first confirmed contact was made between California and New Zealand. December 1924 -- The first daylight transcontinental signals were heard, from Connecticut to California, as John Reinartz, 1QP, made experimental transmissions on the new 20 meter band. April 1925 -- The first published article on the theory of shortwave propagation appeared in QST, authored by John Reinartz, 1QP. Also in April, the International Amateur Radio Union was formed at a conference in Paris, and Hiram Percy Maxim was elected as its first president. May 1925 -- The first contact was made between Australia and England, during daylight hours on 20 meters. April 1926 -- The Worked All Continents award was first offered; it garnered eight initial members. May 1927 -- The first annual ARRL DX Contest was held. March 1928 -- The 10 meter band was opened to Amateur Radio use. Tad Cook, K7RA, Seattle, Washington, reports: Earth's geomagnetic field has been very active. On February 19 at 0234 UTC the Australian Space Forecast Centre issued this warning: "Increased geomagnetic activity expected for February 19." Then on February 20 at 0439 UTC, the Centre issued an identical warning for February 20. This was the result of two coronal mass ejections in 2 days. The planetary A index went to 47 on February 19, the result of K index readings of 5 and 6 over most of the day. The high latitude college A index in Alaska was 57, and two of the 3 hour College K index readings were 7. Average daily solar flux decreased from 171.9 to 158.7 on February 13-19, when compared to the previous seven days, February 6-12. Over the same periods average daily sunspot numbers declined from 184.3 to 140.4. Predicted planetary A index is 10, 15 and 10 on February 20-22, 5 on February 23-24, 7 on February 25-27, 5 on February 28 through March 8, 10 on March 9, then 5 and 8 on March 10-11, 5 on March 12-15, 12 on March 16, and 5 on March 17-23. Predicted solar flux is 160, 165 and 170 on February 20-22, 175 on February 23-27, 170 on February 28 through March 2, 175 on March 3-6, then 170, 165, 160, 155 and 150 on March 7-11, 145 on March 12-15, 150 and 145 on March 16-17, and 135 on March 18-20. 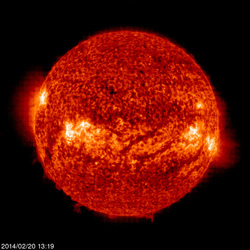 Solar flux is expected to peak again at 175 on March 30 through April 7. In Friday's bulletin we will have reader reports and observations from the recent ARRL International CW DX Contest and more, including a look at a new online tool from NOAA which does short term predictions of Northern Hemisphere aurora, in vivid real-time graphic format.